The first useful breakfast cereal I found post dietary changes was Cheerios. After that came Fiber One, which uses a little artificial sweetener to mask the addition of fiber in their product. After a while, too much Fiber One and you can feel as if you’re eating sawdust. Nature’s Path has a good multibran cereal that I use sometimes. This new cereal is also pretty good. Not my find, my wife dug it out on a trip to Whole Foods. Jen’s New York Deli: at the corner of Five Forks Trickum Road and Oak Road, across the street from the Rite-Aid pharmacy is this little hole-in-the-wall. Unlike most chain food at this corner, this is a Lawrenceville original, in a location that might as well be part of Snellville. Open essentially for breakfast and lunch, Jen’s Deli offers bagels and good, inexpensive sandwiches for people on the go. The inside is small, with just a few chairs and tables, and there is a really nice mural, a take off on old movie posters from years past, opposite the steel cabinets stuffed with bagels and meats. The walls of Jen's Deli are covered in a mural of movie images. If this deli lacks anything relative to the bigger sandwich shops closer to the perimeter, it’s the prepared foods a shop like Alon’s might have. But what it has is good, and inexpensive. A sandwich and coke costs less than $7.00, for example. A grilled ham and cheese with slices of banana pepper, from Jen's. Verdict: If you’re in the area, give this place a try. You won’t be disappointed. I wasn’t expecting to touch amaranth until breakfast, and there are no photos, just some fast comments. I came home and most of my dinner was already cooked for me, but I needed a side and didn’t want to bother with a frozen entree. I had tried quinoa before and it worked just fine, light and nutty. I had a bit of lamb, still warm, so I made a red wine reduction (cabernet sauvignon this time, better than shiraz), and got out the amaranth. I used 3 ounces (by volume) of amaranth in 6 ounces of water, in a 2 quart saucepan with glass lid, heated to a boil, and reduced to a simmer. I started with the pot covered, and uncovered it around 14-15 minutes because it was looking watery. It was visibly different within 12 minutes, but I cooked it a whole 20 minutes, to get rid of as much water as I could. Sources I’ve seen say it takes 18-20 minutes to cook. Amaranth is mild, has a nutty flavor, I’ve heard others write of malt overtones. That’s possible. The superior protein content (also here) of amaranth makes this an interesting alternative to rice, or corn. The seeds are tiny, much smaller than quinoa or barley, and so it doesn’t have the satisfying chewiness I get with cooked quinoa and barley. I can’t decide whether it reminds me of cream of wheat or malt-o-meal, but it’s reminding me of one of those. Of the two “super grains”, I think I prefer quinoa, but wouldn’t turn this down. I ate all of it. I don’t regret it one bit. I’ve been promising I’ll test both quinoa and amaranth in terms of their breakfast cereal appeal. I didn’t want to cook for 5, just 1, and the guiding principle was KISS (keep it simple, stupid). So, I started with 1/4 cup of quinoa and 1/2 cup of cold water. Put it on the stove and heated. Started with cold water, turned up the heat, waited till it was boiling, reduced temperature, trying to get it to simmer. Never did really succeed in finding an optimum temperature, was playing with temperature throughout. After 15 minutes it was done. Plain cooked quinoa makes a fine breakfast cereal. It smelled good when taking it out of the pan. I was concerned I would have to add something to make it palatable, but I shouldn’t have been so worried. It smelled so good, some of the quinoa never made it into the breakfast bowl. It has a nutty flavor, sufficient to stand on its own without any additives. If you were to make a regular routine of the grain, however, you might want to add things, like fruits or nuts, or a little brown sugar, to vary the flavor of what you eat. I enjoyed it immensely. If you have the patience to watch the pot over the 15 minutes it cooks, you should be able to succeed. Should work well in a bachelor kitchen. Should work well as a side dish. Issues? It’s a small grain. That makes it hard to wash, hard to handle. There will be transfer losses. Not just your dad’s oatmeal for breakfast. It have nothing against oatmeal per se, I’ve eaten a ton of it and if I were a regular breakfast eater, I’d probably eat more of it. It’s a grain, it’s cheap, it cooks fast. If you look at the nutrition profile for plain instant oatmeal on the nutritiondata site, you’ll see it’s pretty good for you. However, as we enter the 21st century, there are two whole “grains” that have an excellent nutritional profile, and equally important, they cook fast. These two are amaranth and quinoa. Amaranth is on the left. Quinoa is in the middle. Pearled barley is on the right. For now I’ve been using them as part of the grain component in various soups, and Deborah Madison has suggested soups using the mix of corn, amaranth and quinoa. I’m curious if either of these can be used as a direct substitute for oatmeal in the morning meal. Yes, there will be more cooking time with these two than with instant oatmeal, but not too much more, and they will cook faster than pearled barley, for example. Looking for people who have traveled this path, I find a recipe for breakfast quinoa here, and one for amaranth here. 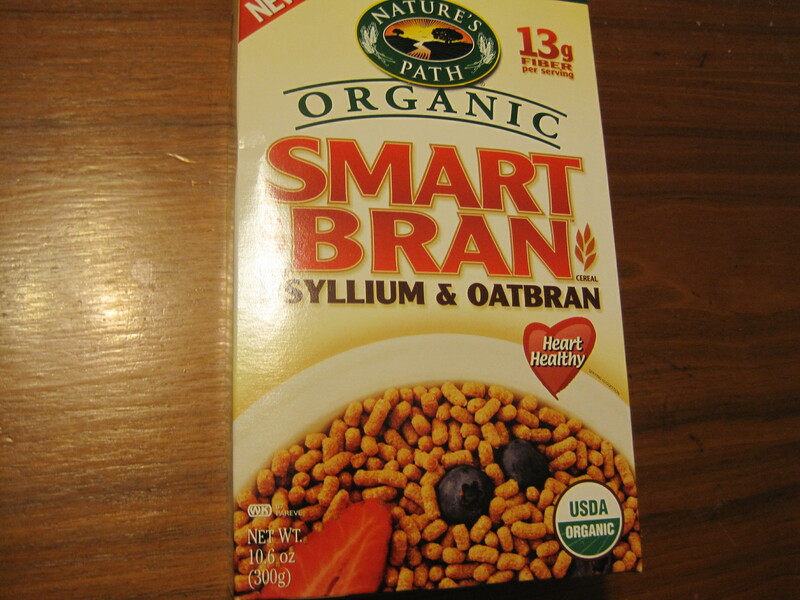 The Blogger Reforming Daily notes that both amaranth and quinoa are gluten free. I intend to try both over the next few days, and I’ll report the results for quinoa here, and eventually amaranth here.